Imagine that you find yourself on an island, with no knowledge of past events. However, you soon learn that your arrival was foretold by a mysterious message, and as you explore you begin to discover connections between yourself and one of the first “victims” of a mysterious creature vital to the island’s existence. This is the situation presented in Seek Not a Lighthouse, an upcoming point-and-click adventure game by Judah Mantell and his one-man indie studio, MidnightCoffee, set for release later this month. While exact story details will have to be discovered for ourselves, the island on which the game takes place is said to be “held up by a mysterious creature,” without which it will sink. Each year the creature would send out a message via one of the island’s four lighthouses, but its ominous warning to “Be aware of the silent traveler” was to be its last. 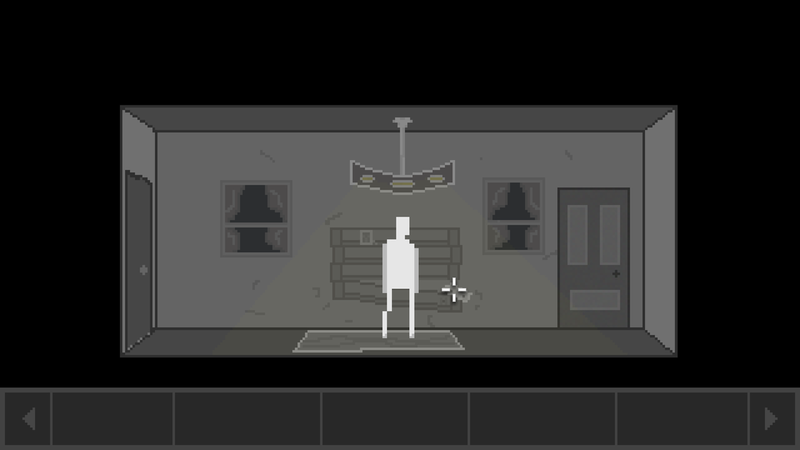 In a narrative that takes place across two different timelines, the player controls both the Silent Traveler in the present day, who arrives on the island in order to “avenge the death of a broken man he never knew,” and another character during flashbacks to 1926. Primarily mouse-driven, players can expect to solve a variety of puzzles as they piece together the connection between the past and present timelines and interact with the “bizarre islanders” that populate this remote place. 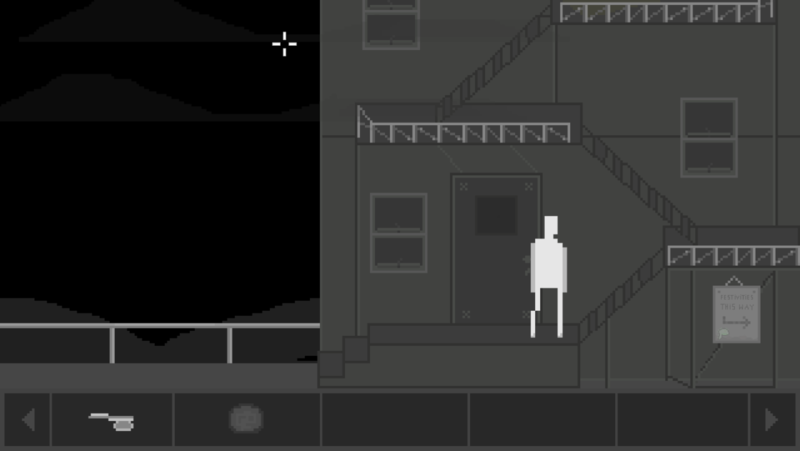 Billed as a “retro adventure,” the game’s rudimentary 2D pixel art style features a monochromatic palette to match the “dark humor” of the present day timeline, and a colorized scheme characterizing the “bleak misery” of the past. 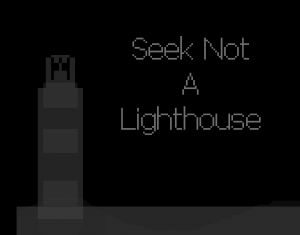 Seek Not a Lighthouse is tentatively scheduled for release sometime this month, on Windows and Mac, with “possible” mobile ports and Linux support later on. Interested gamers can browse over to the game’s official website for more information. After they stopped receiving communications from the creature below, all hope was lost, with the final message warning the islanders to be aware of what, or who, was to come… Little did they know that the Silent Traveler—you—would be their last hope in solving the mystery of what happened to the creature, who was behind it all, and the connections between the events.